Today we celebrate the birth of our great nation and the freedoms we have as Americans. Praise the Lord for His blessings upon us! I always have been a patriot. When I was 17 years old, I made a decision that put patriotism into action. Halfway through my senior year in high school, I visited an Army recruiter, told him I wanted to join up, and signed six years of my life away. I began weekend drills at the 100th Division, in Louisville, Ky., while I was still in school. As soon as I graduated, I got on a plane headed for Ft. Dix, NJ. Nothing–and I mean nothing-could have prepared me for what I would experience there. In fact, if I’d have known what to expect, I never would have enlisted. I guess that’s why recruiters are known for lying! I’m glad I didn’t know, though, because I wouldn’t trade the experience for anything. In basic training, I accomplished things I didn’t know were possible for me–physically and mentally. After eight grueling weeks, I headed for Ft. Benjamin Harrison, Ind. to attend the Defense Information School. There I learned how to be a top-notch journalist. This was an amazing experience that opened doors for me even after I was discharged from the Army Reserves. 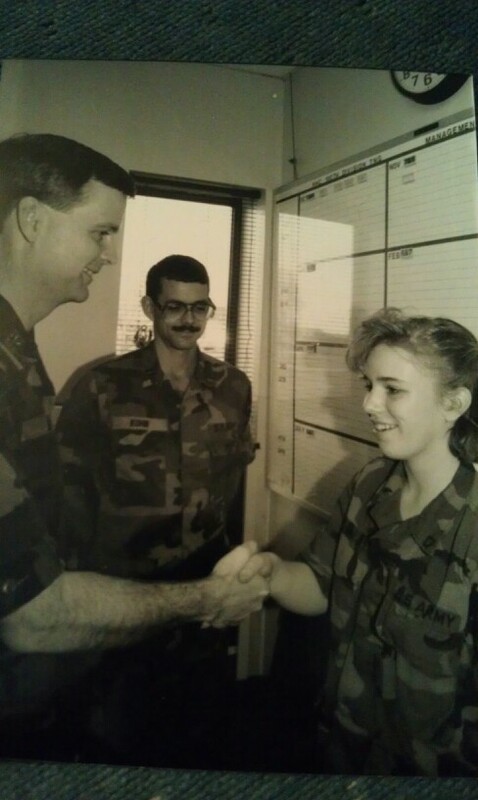 In January 1990, I received a call that would change my life–the call to active duty during Operation Desert Storm. Though my unit was not slated to go oversees–at least not yet–it still was full-time service. I was thrilled to be able to serve my country at Ft. Knox, Ky. Our unit trained new recruits to operate tanks. Once they completed training these soldiers, we were to go to Kuwait with them. That didn’t become necessary, however, because the war was over so quickly. I was completely prepared to go oversees, but I also didn’t mind not having to experience combat. 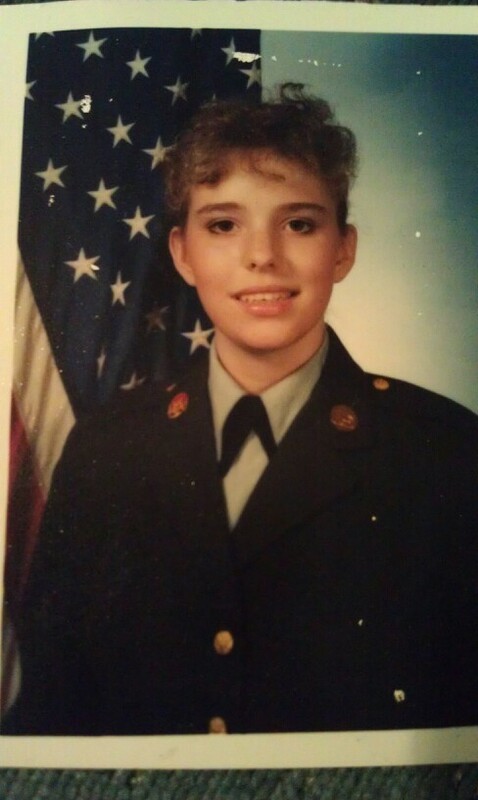 After that, I returned to the 100th Division in Louisville as a reservist until 1995, when my enlistment was up. I share this because I believe in serving our country. A little over two centuries ago, bold patriots fought and shed blood to secure the freedoms we still enjoy. This country is far from perfect, and I am deeply concerned about where we are headed, but I appreciate the many blessings of being an American. I am grateful I had the opportunity to serve, and would gladly do it again. Thank you to all who serve or who have served our great nation on our soil or oversees, and thank you to their families, who sacrifice as well!